I was desperately waiting for this week's hop since I missed the last one. Well, almost every book I have read are turned into the movie already. But how about The Roll Call by Malcolm Rose (or any other Traces book)? I haven't heard if the series has been turned into a movie. That's pretty funny that most of the books you've read were later turned into movies. Maybe this one will be adapted before you know it too! 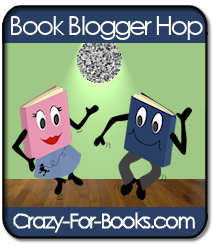 Here's my Book Blogger Hop post!